This book traces the history of India's progress since its independence in 1947 and advances strategies for continuing economic growth. Insiders and outsiders that have criticized India for slow economic growth fail to recognize all it has achieved in the last seven decades, including handling the migration of over 8 million people from Pakistan, integrating over 600 princely states into the union, managing a multi-language population into one nation and resolving the food problem. The end result is a democratic country with a strong institutional foundation. Following the growth strategies outlined in the book and with a strong leadership, India has the potential to stand out as the third largest economy in the world in the next 25 to 30 years. Subhash Jain and Ben Kedia delve into India's development and emergence as an economic power, one of the three countries that can make its own supercomputers, one of the six countries that can launch satellites and that has the second largest small car market in the world. They discuss its need for innovative initiatives and top leadership to pursue an agenda of economic growth, and monitored policies to encourage entrepreneurship at all levels. With an emphasis on the new leadership of Prime Minister Modi, the book identifies policies that need to be adopted to make India's future bright and prosperous. 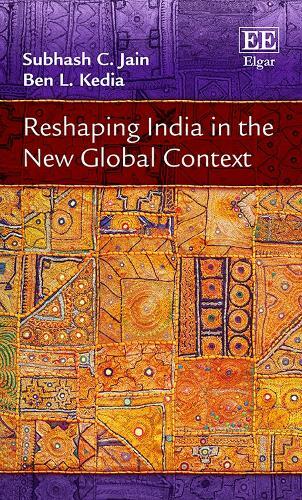 This book is a critical resource for students and scholars interested in India and invested in its progress, as well as policymakers, government officials and corporations considering India as a place to expand and do business.